200 Meter UFO Seen Over Volcano In Mexico On Live Cam, April 19, 2019 Video, UFO Sighting News. Giant Cube-Shaped UFO Is Captured By The SOHO Probe Near The Sun, Video, UFO Sighting News. Steven Spielberg's 1977 film, Close Encounters of the Third Kind is headed back to theaters. In its original release, the audiences went in not knowing what to expect. The previews and ads suggested something a bit sinister and mysterious. Spielberg was famous for terrifying audiences with the shark and Jaws, so many people may have been expecting CE3K to be a space monster movie. We were told to "Watch the Skies," and that, "We are Not alone." It sounded like a warning. “When Steven Spielberg made Jaws, the world went shark crazy. Reports of shark attacks increased by the thousands and people began to approach the beach with caution and even with fear. Now with Close Encounters of the Third Kind, Spielberg is making a film about an even more fascinating subject and one thing seems certain. Just as Jaws gave us a new respect for the mysteries that lie beneath the surface of the sea, after seeing Close Encounters of the Third Kind, we will probably never look at the sky in quite the same way again. “Close Encounters of the Third Kind” is a daring film concept which in its special and technical effects has been superbly realized. Steven Spielberg’s film climaxes in final 35 minutes with an almost ethereal confrontation with life forms from another world; the first 100 minutes, however, are somewhat redundant in exposition and irritating in tone. Ufologist Dr. J. Allen Hynek was a consultant on the film, and deeply involved in the project, and a big supporter. He participated in its promotion, had a cameo in it, published a non-fiction book The Hynek UFO Report released in connection with the film, wrote the epilogue to the CE3K novelization, and received funding and publicity for CUFOs, the Center for UFO Studies. 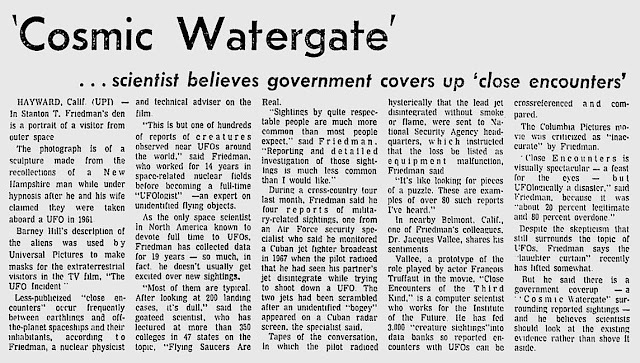 Ufologist, Stanton T. Friedman, "the flying saucer scientist" was less enthusiastic about the film. Prior to resurrecting the Roswell case, Friedman was a flying saucer lecturer who chiefly promoted the Betty and Barney Hill abduction story. He'd consulted on the 1975 TV movie based on the Hill case, The UFO Incident, but he gave low marks to Spielberg's film. 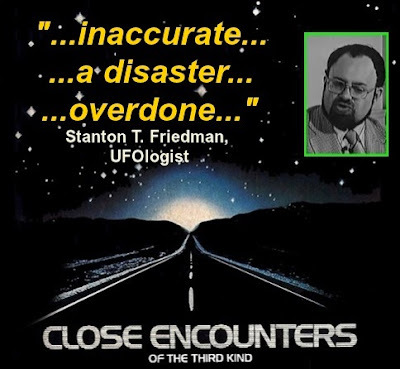 Close Encounters of the Third Kind was criticized by Stanton Friedman as "inaccurate." He said that, " 'Close Encounters' is visually spectacular- a feast for the eyes- but UFOlogically a disaster," and in his opinion, "about 20 percent legitimate and 80 percent overdone." It's not known if Friedman's disapproval prompted Spielberg to tamper with the film, but CE3K has been re-edited several times over the decades, with footage added and cut. With the new re-release, Spielberg has one last chance to fix his mistakes, and just maybe, to finally win the praise of the flying saucer scientist. ajor news media and many members of the scientific community have taken strongly to the radio-telescope-based SETI (Search for Extraterrestrial Intelligence) program as espoused by its charismatic leaders, but not supported by any evidence whatsoever. In turn, perhaps understandably, they feel it necessary to attack the ideas of alien visitors (UFOs) as though they were based on tabloid nonsense instead of on far more evidence than has been provided for SETI. One might hope, vainly I am afraid, that they would be concerned with The Search for Extraterrestrial Visitors (SETV). I would hereby like to challenge the SETI specialists, members of the scientific community, and the media to recognize the overwhelming evidence and significant consequences of alien visits and to expose the serious deficiencies of the SETI-related claims. I have publicly and privately offered to debate any of them. No takers so far. Cosmic freeloading can be very, very helpful in reducing fuel requirements and has been used for all our deep space missions such as Voyager, Pioneer, Galileo, Cassini, etc. A splendid example of the wrong assumptions to make was provided by Dr. John William Campbell1, Professor of Mathematics and Astronomy at the University of Alberta, in 1941, when he attempted to compute the required initial launch weight of a chemical rocket able to get a man to the moon and back. Our successful trips to the moon beginning in 1969, still with chemical rockets, showed that the weight he "scientifically” calculated was too high by a factor of 300 Million!! Dr. Alexander Bickerton2 in 1926 proclaimed that it would be impossible to give anything sufficient energy to place it in orbit around the earth. Professor Simon Newcomb3 “proved” in October, 1903, that it would be impossible for a man to fly except with the help of balloons. This was two months before the first flight by the Wright Brothers (two very sharp bicycle mechanics). These three bright professors made a whole host of totally inappropriate assumptions because of their ignorance of the technical situations with which they were faced. They hadn’t read the ample literature available to any professional seeking truth. For example, Dr. Campbell assumed a single stage chemical rocket, launched vertically and limited to 1G acceleration. He assumed much too low an exhaust velocity. The rocket had to carry a huge amount of fuel for use in the retrorocket supposedly required to slow down the rocket upon return to Earth. For Apollo we used multi-stage rockets (reducing system weight at each stage) launched to the East from near the equator (to take advantage of the Earth’s rotation), a peak acceleration of many Gs (the faster to orbit, the less the losses to gravitation), the moon’s gravitational field (to provide some free energy going in) and earth’s atmosphere to do the deceleration upon approaching the earth, as highlighted, for example, in the movie Apollo 13. Cleverness was more important than power. The exhaust velocity was certainly much higher than assumed by Dr. Campbell. Of course Campbell knew nothing about fission or fusion rockets (on both of which I have worked). The latter using D-He3 reactions exhaust charged particles which can be directed electromagnetically and are born with 10 million times as much energy per particle as can be obtained in chemical rockets. Most academics in my experience and in their publications (i.e. Krauss 4) are ignorant of the fact that the most powerful fission rocket reactor propulsion system (Phoebus 2B, made by Los Alamos) operated at a power level of 4,400 Megawatts before 1970. Man has produced many controlled fusion reactions. See Luce5 about fusion rockets. Any study of the history of technological development reveals that technological progress comes from doing things differently in an unpredictable way. Pocket calculators are not built with vacuum tubes. Supersonic flight is not achieved with propellers. Lasers are not just better light bulbs. In short, the future is definitely NOT a mere extrapolation of the past. 4. Why is it that SS take every opportunity to attack the notion of alien visitations without any reference to the many large scale scientific studies? They act as though the tabloids are the only possible sources of UFO data. There are at least six large scale scientific studies 6-11, more than ten PhD Theses, and many dozens of published professional papers by professional scientists. These are all almost always ignored. There are, for example, thirteen anti-UFO books and dozens of pro-SETI books that don’t even mention the largest scientific study done for the USAF. The work was done by the engineers and scientists at the Battelle Memorial Institute in Columbus, Ohio. They found that 21.5% of the 3201 cases investigated were UNKNOWNS completely separate from those cases deemed to provide “Insufficient Information.” They found that the better the reliability of the reports, the more likely to be unidentifiable. Statistical cross comparisons between the UNKNOWNS and the KNOWNS showed that the probability that the former were just missed KNOWNS was less than 1% for six different characteristics. 3. If one can’t attack the data, attack the people; it is much easier. 4. Do one’s research by proclamation. Investigation is too much trouble and nobody will know the difference anyway. How else can one explain such totally baseless, but seemingly profound, proclamations as “The reliable cases are uninteresting and the interesting cases are unreliable. Unfortunately there are no cases that are both reliable and interesting.” (See Sagan12). 5. Why don’t SS understand that there are very clear-cut national security aspects of the entire UFO problem including the possibility of duplicating the far out technology and the concerns with the impact on the public of any announcement? Clearly if any earthlings could duplicate the saucer technology, the systems would make wonderful weapons delivery and defence systems. It is a lot easier to dream about distant civilizations whose existence will have little impact, if they can never reach here, or never have been here. Many quite extraordinary scientific and technological developments were conducted in TOP SECRET programs including the development of the atomic bomb, the proximity fuse, radar, etc. There is overwhelming evidence, never noted by the SS, that the subject of flying saucers represents a kind of Cosmic Watergate including the recovery of two crashed saucers in New Mexico in 1947 13. According to Pulitzer prize winning journalist Tim Weiner14, the annual Black Budget (Not under congressional control) was running $34. Billion.. several years ago. The NSA had openly admitted withholding 156 UFO documents even from a Federal Court Judge given a high security clearance. When these were “released” more than 15 years later, only 1 or 2 lines per page were not covered by whiteout. I have received formerly classified CIA UFO documents on which only 8 words are not blacked out. USAF General Carroll Bolender stated15 that "Reports of UFOs which could effect national security… are NOT part of the Blue Book System.” One should note that the very high quality military monitoring systems operated by the Air Defence Command and the NRO and NSA produce data which is born classified and is not released to the public. 6. If the SS are truly interested in the SETI, why don’t they examine the best UFO data instead of ignoring it? Without that data, they have no evidence to support the many assumptions they make about ETI. For example, it is assumed that there is intelligent life all over the place, that some of this life is more advanced than we are; but that ET communications and flight technology are stuck at the level of radio and chemical rockets, and ETs are trying to attract our attention via radio!! No evidence has been provided that any of these assumptions are true. And yet these same SS insist on ufologists providing them with an alien body!! SS have been joyous about finding 37 radio signals out of several billion that were tantalizing. But they choose to ignore the 21.5% of 3201 investigated UFO sightings that might indeed signal the existence of ETVs. The false reasoning is incredible. Since most sightings can be explained, therefore all can be. But since some very few radio signals were thought to be intriguing, we should follow that path of study! 7. Why is the assumption made that aliens wouldn’t know there was a technological civilization here until they picked up our TV or radar signals? We are already, though in our technological infancy compared to a cosmic time frame, considering building a radio telescope with segments on opposite sides of the solar system that could directly observe earth size planets around all the stars in the neighborhood. Other civilizations in the neighborhood could have done this a billion years ago. As Sagan noted 16, signs of biological life here could have been observed at Earth by an alien spacecraft at our level of technological development two billion years ago. Why not assume that every library in the local galactic neighborhood has known of our existence as a result of explorations done millions of years ago? One should note that Columbus did not wait for a smoke signal from the Western Hemisphere’s natives before sailing westward. One of Magellan’s ships sailed around the world in about two years. The Space Shuttle does it in 90 minutes. Progress comes from doing things differently. 8. Why is it that the SS don’t understand that, at the end of WW II, it was quite obvious to any visiting alien intelligence agents that soon (less than 100 years) these primitive earthlings, whose brand of friendship is obviously hostility, could be traipsing around the local galactic neighborhood? Three new readily observable technologies: atom bombs, powerful V-2 rockets, and powerful radar systems set the pace. It is probably not a coincidence that the crashed saucers were recovered in Southeastern New Mexico near the only place on Earth (White Sands Missile Range) in July, 1947, where all three could be observed. During any one century, because the progress from no space technology to deep space travel takes such a comparatively short time, it doesn’t seem likely that there would be any other civilization in the local neighborhood going through the same transition. They are either ahead of us or behind us. Of course we would be of interest to them; if for no other reason that the equivalent of national security concerns. Compare the world’s budget for National security with that for radio astronomy. One reasonable purpose from that viewpoint for visiting here would be to assure that we don’t go out there until we get our act together. The word quarantine comes to mind. Does anybody really believe that aliens would want this primitive society out there before we get our act together and can even qualify for admission to the Cosmic Kindergarten? 9. Why is it that SS seem to assume that aliens would want to deal with them? They don’t speak for the planet any more than ham radio operators speak for their countries. If their annual budget were even $100 Million, that is miniscule compared to the $1 Trillion for national security. 10. Why is it that SS so often try to stress how big and how old the universe is? In fact the sphere centered on the sun and having a radius of only 54 light years includes 1000 stars of which about 46 seem to be sun-like and suitable for planets and life17. At least two of these sun-like stars are 1 Billion years older than the sun. If my car were stolen near my home in Fredericton, New Brunswick, it wouldn’t make much sense to suggest that the thief might be any one of 6 billion Earthlings. It would appear to be much more likely that the thief was one of 725,000 New Brunswick residents or one of only 50,000 Frederictonians. The odds of finding the thief would be greatly enhanced. 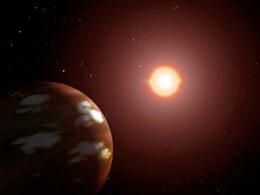 Note, too, for example, that residents of Zeta 1 and Zeta 2 Reticuli, being less than one light year apart, could directly observe planets around the other star. 11. Why do SS focus on the Drake Equation which supposedly tells how many inhabited planets there are capable of sending radio signals? There is no evidence to support the many assumptions that are made and it takes no account of the processes most important for the distribution of intelligent life on Earth, namely migration and colonization. We have data on one planet in one solar system at the present time. We don’t even know how many civilizations there may have been here on earth 10 million or 200 million years ago. Heinrich Schliemann had to dig down 75 feet to find Troy dating from just a few thousand years ago. How much of earth has been explored that deep, no less the much greater depth that would be needed to tell us about civilizations that were lost due to asteroid collisions or nuclear wars or continental drift since hundreds of millions of years ago? One might just as well throw a dart at a dart board with numbers on it. 12. Why are proclamations made by SS that aliens can’t possibly be humanoid, as described by UFO witnesses? We have no catalog of aliens in the neighborhood combined with travel schedules so we could predict how many would have three heads or four eyes, etc. After all, these claims of non-humanoidness are based on the assumption that any ETI has developed indigenously and independently of life from anywhere else and there has been no migration or colonization. Funny how the laws of physics and biology might even suggest that there are favored directions for how things develop. For example, we find few examples of mammals with three legs or three eyes. There may well be advantages to certain configurations. Colonization and migration would lead to the dispersal of particular features. Proclamations without data are hardly scientific. Reports from all over Earth indicate humanoids are visiting in strange vehicles with extraordinary capabilities. This, of course, does not mean that all aliens are humanoid. Presumably the ammonia breathers go to Jupiter. 13. Are the SS really unaware that public opinion polls have consistently shown that believers in alien visitations outnumber non-believers and that the greater the education the more likely to accept ETV? Two polls of engineers and scientists involved in research and development activities 18 even showed that 2/3 of those who expressed an opinion believe that some UFOs are ET spacecraft. After all, certain knowledge that Earth is indeed being visited would provide the best incentive for bigger budgets for space exploration. Of course if aliens are indeed visiting, than the Radio Telescope Search for ET signals would seem a useless exercise and might indicate the SS have been on the wrong track all along. Learning sign language might be more productive in terms of Communicating with ETI. I have twice heard independent reports of military personnel recording radio signals from a UFO that was being monitored by nearby military radar. One wonders how many similar instances there have been. 14. Why do SS, who should know better, or at least should have done their homework, so often pronounce that it would be impossible for anyone to withstand the “enormous” accelerations of UFOs so often observed for brief times? They quote no data to support their pronouncements despite the huge amount of data that NASA and others have compiled over the past half century. It turns out that trained and properly constrained humans can withstand “enormous” accelerations, for significant times, so long as the acceleration is in the appropriate direction vis a vis the body. Astronauts are launched while on their backs for a good reason. For example, a pilot can perform a tracking task while being accelerated for 2 minutes at 14 Gs. That is from zero to 36,000 miles per hour in 2 minutes. They can successfully withstand 30Gs for one second. Dr. Paul Stapp’s rocket sled reached over 600mph in the early 1950s and he successfully withstood 43Gs when slowing down more rapidly than expected. Data should take precedence over proclamations. 15. Why do SS cite the Fermi Paradox as though it demonstrates that nobody is coming here or that we haven’t been colonized, perhaps many times, in the past? Fermi was well known at the University of Chicago for trying to teach by asking questions. Remember that he assumed it would only take a few million years for the entire galaxy to be colonized once those activities had begun. The beginning could have been a billion years ago. 16. Finally there seem to be no signs that either SETI leaders or UFO debunkers are willing to note the false reasoning of their own kind . This lack of internal evaluations provides a scientifically unhealthy and dogmatic, almost cult-like atmosphere, with charismatic leadership, a strong dogma, and irrational resistance to outside or new ideas. Scientists and journalists have a serious obligation to study the relevant data rather than to make pronouncements having no factual basis. Does the end (presumably public rejection of flying saucer visitations and enhancement of the status of SETI) really justify the means of misrepresentation based on ignorance and arrogance? Ufologists are, in contrast, very critical of each other. Party Lines should be for politicians, NOT for scientists. 4. Krauss, Dr. Lawrence Maxwell BEYOND STAR TREK, Basic Books, 1993, 203 pp. 8. Hall, Richard “The UFO Evidence I, 1961, Vol. 2, A Thirty Year Report” Scarecrow press 2001, 650 pp. 9. “Scientific Study of Unidentified Flying Objects” / Univ. of Colorado, Directed by Dr. E.U. Condon 1969 (963 pp. ), Bantam Books. 30% of 117 cases unexplainable. 11. The Cometa Report “UFOs and Defence: What Should We Prepare For.” 90-page English Translation of French Report, 1999, $10.00 From UFORI includes S&H. 13. Friedman, Stanton Terry and Berliner, Donald “Crash at Corona: The Definitive Study of the Roswell Incident” Anniversary Edition, 1997, Marlow Books, Autographed. $15.00 From UFORI. 14. Weiner, Tim “Blank Check: The Pentagon’s Black Budget,” Warner Books,1990, 288 pp. 15. Bolender, General Carroll “Memo: UFO, October 20, 1969"
17. Dickinson, Terence “The Zeta Reticuli Incident” Astromedia Corp. 32 pp., full color booklet, $5.00 Postpaid from UFORI. Randall Nickerson talks about Ariel Phenomenon, and Martin discusses his recent MJ-12 document find in an ex-CIA’s estate papers with guest Stan Friedman. Stan talks about his intense MJ-12 research starting in 1984, mysteries and coincidences or not revealed and a lot more. Stan’s website:stantonfriedman.com. Here is an interview I did with Stanton Friedman in its entirety. Stanton talks Bob Lazar and more! Stanton Friedman "To reach a scientific conclusion about the reality of flying saucers requires the collection, review, and evaluation of an enormous amount of evidence. I have done so and concluded that some flying saucers are alien spacecraft, that the subject represents a Cosmic Watergate, that there are no good scientific arguments against these conclusions. The UFO debunkers ignore the large scale scientific studies, the numerous relevant highly redacted highly classified UFO documents, the numerous studies showing trips to nearby stars are feasible. Instead we are treated to proclamations of impossibility unsupported by evidence. It is well worth looking at the mountains of data. Science tells the story. We are being visited and are being lied to. Reality triumphs over fiction when science is properly employed." For almost 60 years the public has been hearing about flying saucers and then UFOs. Press coverage has ebbed and flowed, but polls have always shown a very high awareness score. Motion pictures, tabloids, and TV programs have picked up the slack with a mélange of fiction and some truth. Unfortunately, much of what has been told by the “powers that be” has been false. Many different government agencies have shared in the misrepresentation and have provided outright LIES as well. The press and other academic and scientific groups have often blindly accepted and promulgated nonsense without any effort to get at truth. Webster's Dictionary defines LIE as an untrue statement made with the intent to deceive. Hopefully, the LIES presented in this paper will help cause these protectors of the public to do their job: seek and present truth. Who is Stanton T. Friedman? 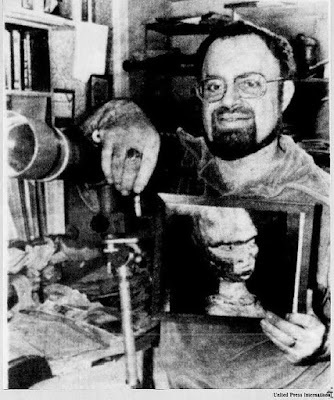 Stanton Friedman (born July 29, 1934) is a professional ufologist who resides in Fredericton, New Brunswick, Canada. He is the original civilian investigator of the Roswell incident. He worked as a nuclear physicist on research and development projects for several large companies. He graduated from Linden High School and the University of Chicago, earning a Bachelor of Science in 1955 and a Master of Science degree in nuclear physics in 1956. Friedman was employed for 14 years as a nuclear physicist for such companies as General Electric (1956–1959), Aerojet General Nucleonics (1959–1963), General Motors(1963–1966), Westinghouse (1966–1968), TRW Systems (1969–1970), and McDonnell Douglas, where he worked on advanced, classified programs on nuclear aircraft, fission and fusion rockets, and compact nuclear power plants for space applications. Since the 1980s, he has done related consultant work in the radon-detection industry. Friedman's professional affiliations have included the American Nuclear Society, the American Physical Society, the American Institute of Aeronautics and Astronautics, andAFTRA. In 1970, Friedman left full-time employment as a physicist to pursue the scientific investigation of UFO's. Since then, he has given lectures at more than 600 colleges and to more than 100 professional groups in 50 states, nine provinces, and 16 countries outside the USA. Additionally, he has worked as a consultant on the topic. He has published more than 80 UFO-related papers and has appeared on many radio and television programs. He has also provided written testimony to Congressional hearings and appeared twice at the United Nations. Friedman has consistently favoured use of the term "flying saucer" in his work, saying "Flying saucers are, by definition, unidentified flying objects, but very few unidentified flying objects are flying saucers. I am interested in the latter, not the former." Friedman used to refer to himself as "The Flying Saucer Physicist", because of his degrees in nuclear physics and work on nuclear projects. Friedman was the first civilian to document the site of the Roswell UFO incident, and supports the hypothesis that it was a genuine crash of an extraterrestrial spacecraft. In 1968 Friedman told a committee of the U.S. House of Representatives that the evidence suggests that Earth is being visited by intelligently controlled extraterrestrial vehicles.Friedman also stated he believed that UFO sightings were consistent with magnetohydrodynamic propulsion. In 1996, after researching and fact checking the Majestic 12 documents, Friedman said that there was no substantive grounds for dismissing their authenticity. In 2004, on George Noory's Coast to Coast radio show, Friedman debated Seth Shostak, the SETI Institute's Senior Astronomer. Like Friedman, Shostak also believes in the existence of intelligent life other than humans; however, unlike Friedman, he doesn't believe such life is now on Earth or is related to UFO sightings. A piece of evidence that he often cites with respect to this hypothesis is the 1964 star map drawn by alleged alien abductee Betty Hill during a hypnosis session, which she said was shown to her during her abduction. Astronomer Marjorie Fish constructed a three-dimensional map of nearby sun-like stars and claimed a good match from the perspective of Zeta Reticuli, about 39 light years distant. The fit of the Hill/Fish star maps was hotly debated in the December 1974 edition of Astronomy Magazine, with Friedman and others defending the statistical validity of the match. Friedman has criticized Carl Sagan, a proponent of SETI, for ignoring empirical evidence, such as "600-plus UNKNOWNS" of Project Blue Book Special Report No. 14. Friedman argued that this empirical data directly contradicts Sagan's claim in Other Worlds that the "reliable cases are uninteresting and the interesting cases are unreliable". Specifically, Friedman refers to a table in Project Blue Book Special Report No. 14 that he says "shows that the better the quality of the sighting, the more likely it was to be an 'unknown', and the less likely it was to be listed as containing 'insufficient information'" (p. 42). Gallup Polls between 1966 and 1987 asked respondents the question: "Are UFOs something real, or just people's imagination?". Of those who took a position one way or the other, 61%, 64%, 68% and 60% took the position they are real in 1966, 1977, 1978 and 1987, respectively. With respect to scientists, a poll was taken by Industrial Research and Development in 1971 and 1979. Of the respondents who took a position, 64% and 69% stated they believed UFOs either probably or definitely exist. Of this subgroup, 32% and 44% considered their origin to be Outer Space in 1971 and 1979, respectively. Of the rest of this subgroup, approximately half believed them to be natural phenomena and half were "undecided". Dr. Peter Sturrock also polled the membership of the American Astronomical Society and found that "the greater the amount of time one spent on reading UFO-related material, the more likely one is to accept their reality" (p. 210). Friedman is outspoken in his articulation of positions and in his criticism of UFO debunkers, often stating he is not an "apologist ufologist". His positions are regarded as controversial in mainstream science and media, but Friedman claims to have received little opposition at his many lectures, most of which have been at colleges and universities, many to engineering societies and other groups of physicists. (p. 24) He has had a number of debates in the mainstream media, including one with UFO skeptic Michael Shermer on CNN. Friedman has been criticized both by skeptics and other Roswell researchers for taking the position that there are no substantive grounds for dismissing the authenticity of someMajestic 12 documents. Friedman himself was the first to provide evidence that some of the documents are clearly hoaxes. For example, he showed that a supposed memo from Admiral Hillenkoetter to President Truman, dated February 17, 1948, was actually the emulation of a letter from Marshall to Roosevelt that was featured in the book The American MAGIC. Friedman has researched the MJ-12 documents since first becoming aware of them from Wiliam Moore and Jaime Shandera in 1984. He addressed criticisms of the original documents in both sources. As an example, Philip J. Klass claimed lexicographic inconsistencies based on the use of Pica typeface in the Cutler-Twining memo and offered $100, in a challenge to Friedman, for each legitimate example of the use of the same style and size Pica type as used in the memo. Friedman provided 14 examples and was paid $1000 by Klass. Flying Saucers & Science, June 2008, 320P. UFOs Are Real[dead link] (1979) VHS - 92 min. Jump up^ Pacholik, Barb (April 23, 2007). "UFO expert has little patience for 'nasty, noisy negativists'". The Star Phoenix (Saskatoon, Saskatchewan). Archived from the original on 2015-09-22. Retrieved 2015-09-22. Jump up^ "Statement by Stanton T. Friedman". National Capital Area Skeptics. January 2001. Retrieved 2009-02-19. Jump up^ "The Great UFO Debate". Premier Radio Networks. 2004-07-21. Retrieved2009-02-19. Jump up^ Terence Dickinson. "The Zeta Reticuli Incident". The National Investigations Committee on Aerial Phenomena (NICAP). Retrieved 2009-02-19. Jump up^ Kenneth F. Wright (2000-04-10). "Zeta Reticuli Incident". Retrieved 2009-02-19. ^ Jump up to:a b Stanton T. Friedman. "CD's". Stanton Friedman-UFO's and Aliens ain't a Joke! Wie is Stanton Friedman nu eigenlijk? 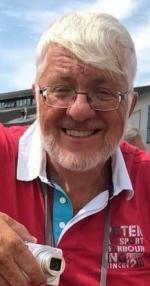 DeAmerikaan StantonFriedman (atoomfysicus) is vooral bekend als de man die Roswell en de Majestic 12 in de media bracht. Een zeer bekwame onderzoeker die de rechtzaal niet schuwde om zijn gelijk te halen aangaande 156 zeer geheime documenten waarover wordt gesproken in andere documenten. Hij kreeg ze van de rechter niet te zien (de rechter ook niet). Het bewijs is overweldigend dat de planeet Aarde wordt bezocht door intelligent gestuurde buitenaardse ruimteschepen. Met andere woorden, sommige UFO's zijn buitenaardse ruimteschepen. De meesten niet. UFO's zijn een Cosmic Watergate, wat betekent dat weinig mensen in belangrijke posities van regeringen hiervan op de hoogte zijn sinds juli 1947, toen twee neergestorte schotels en verschillende buitenaardse lichamen werden teruggevonden in New Mexico; dat inderdaad sommige UFO's extraterrestrial voertuigen zijn. Zoals in 1950 al genoteerd, het is het meest geheime Amerikaanse onderwerp. Tegen bovenstaande conclusies 1 en 2 houdn geen van de argumenten van een kleine groep debunkers zoals Carl Sagan (voor 3 jaar mijn klasgenoot op de universiteit) stand vanwege zorgvuldig onderzoek. - en de Amerikaanse regering die de beste informatie (over lichamen en wrakstukken) geheimhoudt voor meer dan vijftig jaar. Sinds 1967 geef ik lezingen over het onderwerp "UFO's are real" op meer dan 600 universiteiten en meer dan 100 professionele groepen in alle 50 staten van de VS, 9 Canadese provincies, 12 steden in Engeland en 9 in andere landen, met slechts 11 'hecklers' (mensen die een show verstoren of uit de context geplaatste vragen stellen). Ook verscheen ik op honderden radio-en tv-shows. Over het geheel genomen heb ik waarschijnlijk ongeveer 35.000 vragen beantwoord over UFO's en de geheimhouding ervan. Het is duidelijk dat meer dan 97% van de mensen, een van de vijf belangrijkste wetenschappelijke studies die ik bespreek, NIET hebben gelezen. En zijn zo zich niet bewust van al het bewijs voor ondersteuning van mijn conclusies. Ze zijn ook niet op de hoogte van de wetenschappelijke gegevens, in tegenstelling tot all het tabloid onzin. Het is echter ook uit de opiniepeilingen en uit mijn eigen ervaring gebleken dat inderdaad de meeste mensen het idee accepteren dat sommige UFO's buitenaardse ruimteschepen zijn. Hoe hoger de opleiding, hoe groter de kans een individu het accepteert. Het probleem is niet dat er niet genoeg bewijs om mijn conclusies te rechtvaardigen, maar dat de meeste mensen, vooral luidruchtige debunkers, niet op de hoogte zijn van niet-tabloid bewijs. Wat het publiek niet weet, gaan we zeker niet vertellen. De grootste officiële USAF UFO-studie wordt zelfs niet genoemd in twaalf anti-UFO-boeken, hoewel elk van de auteurs van die er wel van op de hoogte waren. Val me niet lastig met de feiten, mijn mening staat al vast ('zelfs als het bestond zou ik het niet geloven'). Als men de feiten niet kan aanvallen, vallen we de mensen aan. Dat is gemakkelijker. We doen liever geen onderzoek, we doen uitspraken, dat is gemakkelijker en het publiek merkt het verschil toch niet. Belangrijke mediabazen zijn het erover eenbs dat als aliens onze Aarde bezoeken dat een groot nieuws zou zijn. Maar omdat zij trots zijn op hun vaardigheid en kennis over wat en wanneer iets real big news is, zij het natuurlijk als eerste zouden weten. 'If this were happening we would know about it.' Maar zij weten het niet, hebben er niet van gehoord (m.a.w. ze wachten tot er officieel iets wordt geroepen) en iedereen die dus zegt dat dergelijke bezoeken echt gebeuren is een malloot. Negeren van onderzoekgegevens. Beter iemand volgen die beweert dat het allemaal onzin is. Ego. Als we worden bezocht dan zullen ze om een persconferentie vragen of willen praten met bepaalde officiële instanties. Dit gebeurt niet. UFO's maken het idee af dat Copernicus ooit startte, dat wij mensen niet het middelpunt vormen van het heelal. Priesters in priestergewaden vochten Copernicus aan, het zijn nu de laboratoriummensen in witte jassen die de ET-theorie bevechten. Onmogelijk ipv we weten het niet. Onze kennis van technologie zegt dat het niet kan, dus kan het niet. Een echte wetenschappelijk onderzoeker zegt, onze kennis van technologie is kennelijk nog niet in staat om dit te verklaren. Bij elke lezing bewijs ik dat de NSA en de CIA UFO-gegevens achterhouden. Ik heb 14 jaar gewerkt onder beveiligde kondities, 17 document archieven bezocht en op de hoogte van de enorme zwarte budgetten van de NSA, NRO, CIA, DIA, enz., ik weet hoe gemakkelijk het is om geheimen te bewaren. Mijn 19 jaar van studie over neergestorte schotels en 13 jaar op de Majestic-12 documenten hebben mij ervan overtuigd dat deze geen grap maar echt zijn. De uitdaging voor ons allemaal, als we het nieuwe millennium ingaan, is om te erkennen dat als onze toekomst in de ruimte ligt, we niet alleen zijn. Ik hoop echt dat we dan in aanmerking komen voor toelating tot deze Cosmic Kindergarten. International UFO Congress - Stanton T Friedman - Flying Saucers and Science. The largest study is “Project Blue Book Special Report No. 14” done by engineers and scientists at Battelle Memorial Institute under contract to the USAF. It has over 200 tables, charts, graphs, maps, etc and deals with 3201 UFO sightings of which 21.5% were finally listed as UNKNOWNS, completely separate from the 9.3% listed as Insufficient Information. The better the quality of the sighting the more likely to be an UNKNOWN.A chi-square statistical analysis showed that the probability that the UNKNOWNS were just missed knowns was less than 1%. The 247 page ”Symposium on Unidentified Flying Objects: Hearings Before the Committee on Science and Astronautics, U.S. House of Representatives” ,July 29, 1968, provides testimony from 12 scientists , three of whom were astronomers. One was Dr. J. Allen Hynek, Chairman of the Astronomy Department at Northwestern University, and for more than 20 years consultant to the USAF Project Blue Book. His book “The UFO Experience: A Scientific Inquiry” should be required reading and contains many intriguing sightings. The most comprehensive presentation was by Dr. James E. McDonald, Senior Physicist in the Department of Atmospheric Sciences at the University of Arizona. He covered 41 separate cases including sightings by astronomers such as Dr. Clyde Tombaugh, the discoverer of the planet Pluto, and multiple witness radar visual cases. The University of Colorado’s “Scientific Report on UFOs “(The Condon Report) included information on 117 cases of which, according to a special UFO Subcommittee of the American Institute of Aeronautics and Astronautics, 30% could not be identified..This book has the folllowing statement about the Trent Photo from McMinnville, Oregon, May 1950, noted by Plait. “This is one of the few UFO Reports in which all factors investigated, geometric, psychological, and physical appear to be consistent with the assertion that an extraordinary flying object, silvery, metallic, disk shaped, tens of meters in diameter and evidently artificial, flew within sight of two witnesses”. The explanation given for the earlier Phoenix Lights as representing jets flying in formation is ridiculous. The object was huge, silent, flying slowly, blotting out the sky. It had no red and green lights. An important witness was Arizona governor, Fife Symington, a former air force officer and pilot. Plait acts as though all UFO sightings are just lights in the sky which are easily identified by somebody like him”A scientist, a Skeptic, a Hardnosed realist”. The facts indicate that this is totally untrue. My latest article is up at TUFOC.